Full Service Price Includes: Leader Dan Mazur, expert Sherpas, climb permits, transport from Islamabad to basecamp, hotels in Islamabad and transportation to base camp, advanced basecamp, high camps, tents (individual advanced base camp tent per member), expedition costs, meals, climbing equipment, fixed ropes, fees, radios, internet, international phone, etc. 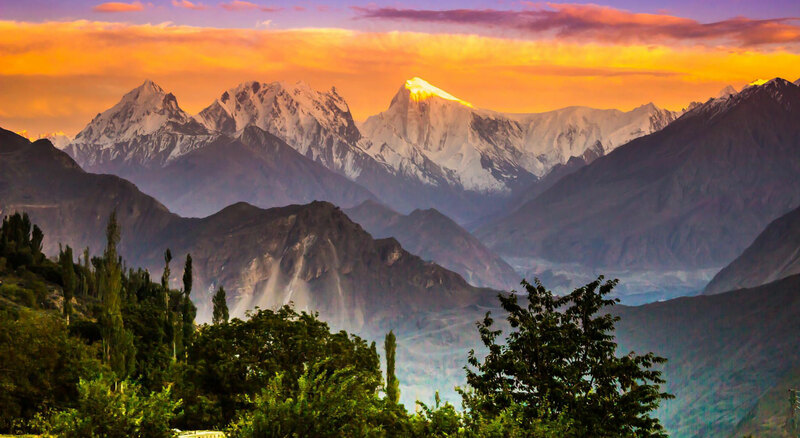 Basic Price Includes: Leader Dan Mazur, climb permits, transport from Islamabad (ISB) to basecamp (BC), hotels in ISB and drive/fly to BC, trek to BC, all basecamp (BC), meals, tents (individual BC tent per member), group climb equipment, fixed ropes and fees, radios, internet, international phone, etc. Basic price includes no services above basecamp. Spantik, or Golden Peak, is a mountain in Spantik-Sosbun Mountainsubrange of Karakoram in Nagar Valley, GilgitBaltistan, Pakistan. Its northwest face features an exceptionally hard climbing route known as the "Golden Pillar". It lies east of Diran and northeast of Malubiting. We encourage men and women from around the world, of all ages to join us.Members may join as an individual team member or your own group (spouse, partner, friends, sibling, clients, colleagues, etc). Most of our members join as individuals. Our team dynamics work well, and we are able to build successful and safe groups that enjoy trekking, climbing, and traveling together. Team members should have previous high altitude climbing experience (LhakpaRi / North Col, AmaDablam, Mustagata, Aconcagua, Denali, or other), and experience with foreign travel. To participate in this expedition, members must be a very fit and active winter climbers in good health. Prior to joining, please see your doctor and obtain the necessary permission and advice. We also ask our members to be extremely patient as they might witness long periods of bad weather conditions and sometimes delays due to bureaucratic issues. Winter snow walking experience and experience at high altitude is highly recommended. The trip includes brief climbing clinics. We will teach you everything you need to know on a glacier near base camp. To be successful, proper conditioning is critical to your success on Spantik. Team members are expected to be very fit and in good health. Proper training with a focus on long hikes carrying a backpack is essential.